Bree was out walking her dog on a cold morning in Queensland, Australia. 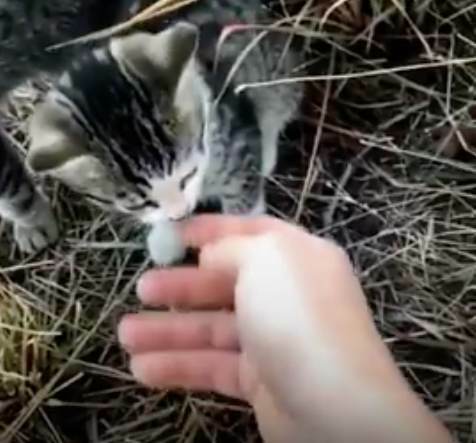 Things seemed pretty normal … until she stumbled across 10 abandoned kittens huddled by the side of the road! These poor little kitties were scared and starving, though they didn’t seem too frightened by Bree’s pet pup. 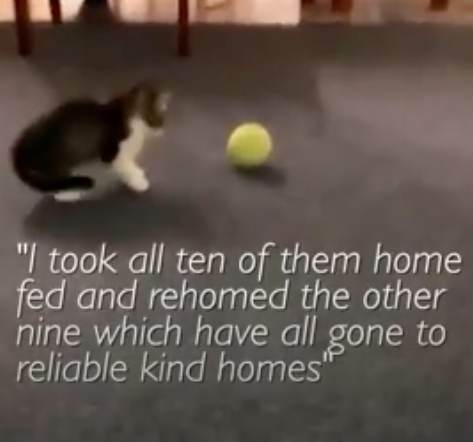 Bree just wasn’t sure what she should do for the kittens; she couldn’t very well take all 10 home, and she lived a mile away. So, she thought she’d go home and call a rescue team. It was her best option. 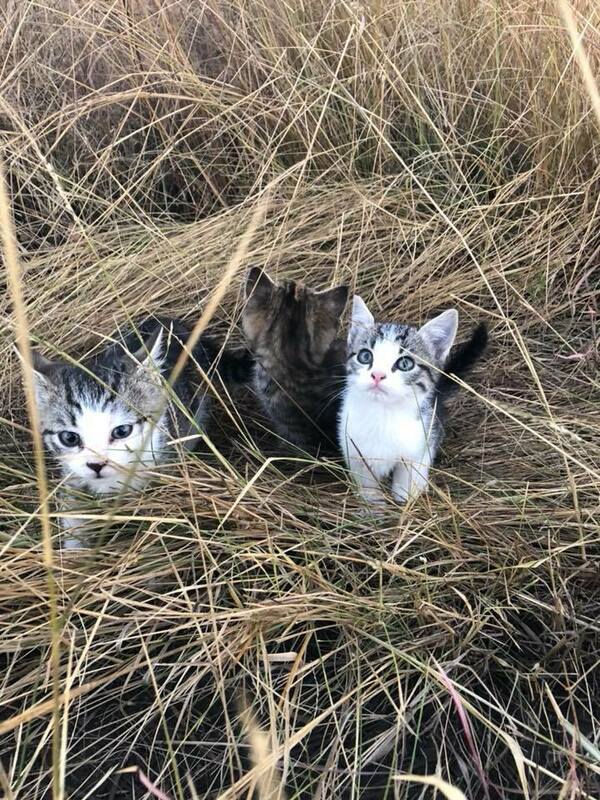 But when she started off down the road again, all 10 baby cats started following her! Bree kept looking behind her and there they were, following as quickly as they could … again, not even caring one fig about Bree’s dog! 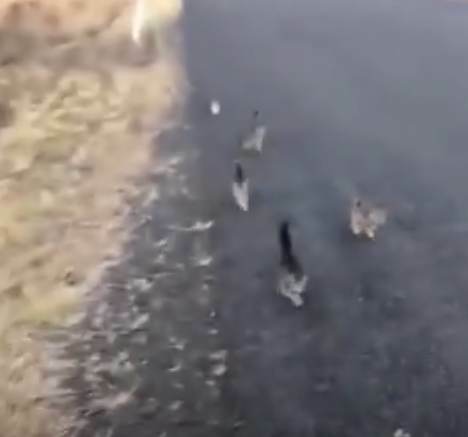 Perhaps they only wanted food or some company, but would ten kittens really follow someone for a mile down the road? Maybe they wanted something more. Bree was determined to find out, that’s for sure! 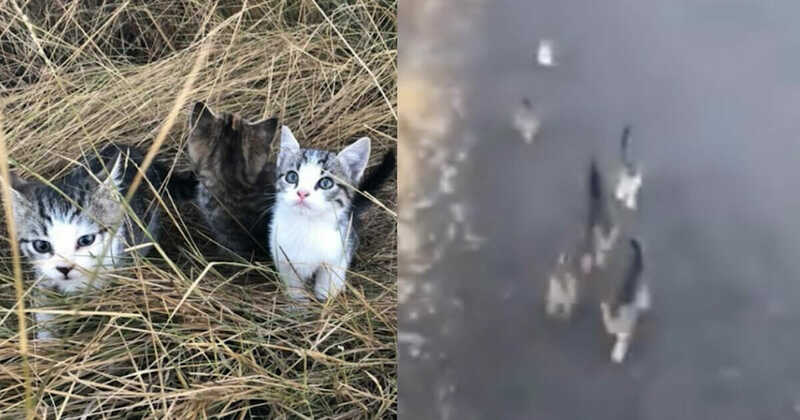 She let the kittens follow her and her dog, and when one of the baby cats fell behind, she picked him up and carried him. Finally, the long mile was over and Bree was home … with a whole bevy of kittens on her heels! They didn’t follow this strange woman for a mile for only food or water. They didn’t do it because they were terrified. They did it because they wanted to be loved! And the one person who was supposed to love them, ditched them instead. 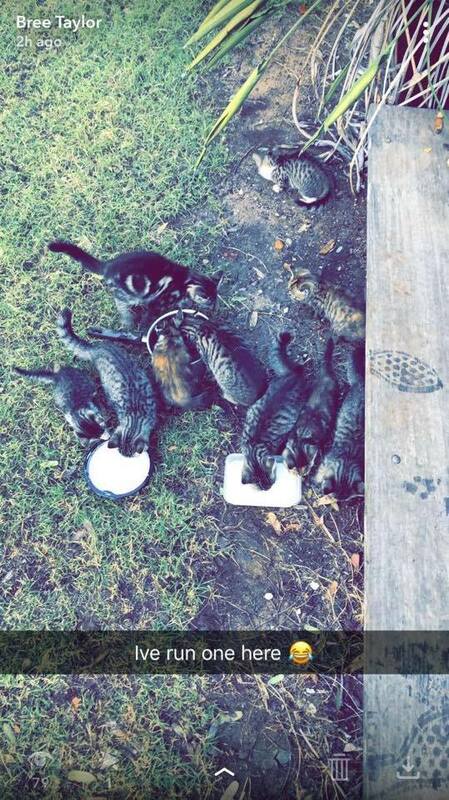 “I was disgusted that someone had just dumped them. And by the way, that one little kitten that couldn’t keep up with its brothers and sisters? The one Bree carried? 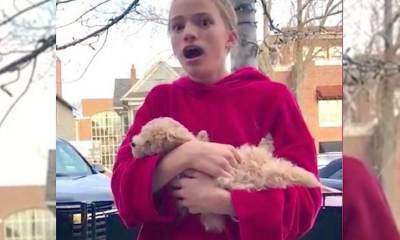 She ended up keeping that little guy! In the end, our four-legged friends just want to be loved … if they’re following you, you can bet that’s what they want!